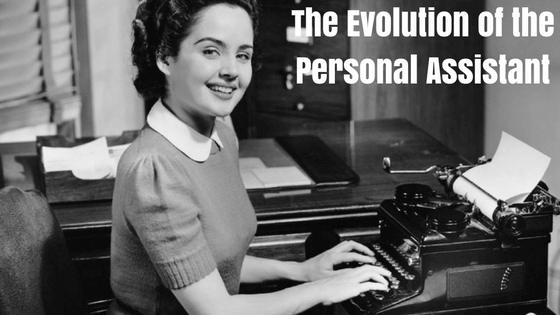 The evolution of the personal assistant has been more talked about than any other profession. Emma Jacobs opened her piece for the Financial Times in 2015 with the provocative statement: “The secretary is dead”, using a powerful table of statistics to back her up, the most notable being that 47% of the UK’s secretarial roles disappeared in the UK between 2001 and 2013 because of new technology and cuts. On paper it’s unsettling, but in reality the changing role for most PA’s is liberating, giving them the opportunity to develop their skills in a way that’s hugely beneficial for companies. Let me explain. Personal assistants were once, more or less, adult babysitters who spoon fed their haphazard bosses, transferred calls and dealt with day to day administrative tasks. I might be simplifying, but only slightly. The old-fashioned personal assistant’s job was important, but not vital enough to sustain in the fierce, fast-paced and variable world of modern business. It had two options: to evolve or to disappear. We have to remember here, the change isn’t the workload. If anything, there’s more administration than ever, increased by the high speed of communication, expectations of fast turnarounds, social media and the explosion of information available. Everyone in the corporate world is busy. The Economist’s article Why is everyone so busy? accounts the constant feeling of harassment to our perception of success rather than occupied hours: “Once hours are financially quantified, people worry more about wasting, saving or using them profitably.” In other words, time equals money and results in the horrible, nagging feeling that we could and should always be doing more. So yes, there’s definitely still space for an assistant, but it has to be an assistant who’s really worth their weight in gold. Author of The New Executive Assistant, Melba J. Duncan stresses the significant “return on investment from a skilled assistant” at senior and junior levels in her article for the Harvard Business Review. She writes, “Firms should also think about the broader developmental benefits of providing assistants for up-and-coming managers. The real payoff may come when the manager arrives in a job a few levels up better prepared and habitually more productive.” Yet, the issue remains that finding a talented assistant is time consuming and expensive. An average annual salary for a UK personal assistant is currently £24,731 (according to PayScale), add in the obligatory employer’s national insurance contributions of £2,333 and you’re up to £27,064. On top of that you’ve got the costs of renting office space, which according to Devilliers Surveyors, costs an average £4,638 in the UK and all the administrative fees such as recruitment, software licences, HR and office supplies. Even if you’re especially mean on stationary, it’s still going to add at least £1,300 a month. All that considered, the total cost of an in-house assistant comes in at around £38,002 per annum, minimum. It’s a lot of money and it could be justifiable if the productivity increase is guaranteed, but we already know that it isn’t. In Forbes last year, Cheryl Connor revealed that “people who now admit to wasting time at work every day has reached a whopping 89%” (up more than 20% than the year before). Factor in an average of 7 sick days a year, 5 days for training and 28 days of holiday including public holidays and you’re looking at only 221 days that your average in-house personal assistant is actually assisting. Small businesses especially can’t afford to those kind of statistics, but neither can anyone quite frankly and really, we shouldn’t have to. So here’s the next stage of the evolution: the virtual assistant. It’s a sci-fi, suspicious sounding term that probably fills the traditionalist business men with dread. Where are these virtual people? How do I know they’re doing what they say and how can they understand me and business if I never meet them? But the reality is that virtual assistants can be cheaper, more efficient and more skilled than your average in-house PA. Massively. But – and here’s the important detail – it depends on who you’re hiring. Consider this: when you hire a virtual PA from my company AVirtual, every single assistant on our team has been personally selected and trained up to our standards so you can be confident, for starters, that they’re really good at their job. But it’s more than that: with a professional virtual assistant organisation you are actually hiring a whole management team as well, who can ensure not just exceptional, dedicated assistance, but quality control, consistency and support. There are hundreds of freelancers who are extremely talented at what they do, but if something goes wrong (they fall ill, there’s a family issue, their laptop gets stolen), you’re left without an assistant, which believe me is considerably more overwhelming once you’ve got into the smooth, stress-free rhythm of working with one. Then there’s the reassurance that comes with a reputable organisation, which helps to make the virtual world feel a lot more physical. For example, you know there are actual offices somewhere, structures in place, a set standard that everyone works to, confidentiality agreements and accountants to handle your payments. Not that any of that behind the scenes stuff is anything to do with you, but you know it’s there and it gives you a sense of security and trust, which is, ultimately, what you’re paying for too. We have the resources now to make virtual professionals a real part of businesses. Facetime, Skype, Google Docs and a long list of apps make communication over the web just as easy as it is face to face; it’s certainly faster and more succinct. In fact, there’s very little a virtual assistant can’t do, except for pick up your lunch, but even then they can arrange for it to be delivered by your favourite restaurant to your desk. VAs are plugged into a world of resources that extends well beyond the confines of an office, they’re media savvy, responsive, professional and cost effective. This is an evolution where everyone wins.